Taiwan is a superb place to experience the natural world, though you might not suspect this from its crowded and often ugly cities. Opportunities for hiking, biking, camping, diving, bird-watching, and mountain climbing are easy to find, especially from Taipei, Taichung, or the east coast. For Taipei residents Yangming Shan to the northwest and both Maokong and Five Animal Mountain to the southeast are great places to walk and escape the summer heat of the city. The highest peak in the Yangming Shan National Park is around 2,600 ft (800 m) and the temperature is often ten degrees Celsius cooler than in the Taipei basin below. It also benefits from an excellent English-language guide by Richard Saunders, available locally. The same author has also written two books on day hikes from Taipei. The central mountain range of the island is mostly National Park land, and is home to the highest mountain in East Asia, Yu Shan or Jade Mountain, which at 12,966 ft (3952 m) is taller than Mount Fuji in Japan. The peak is an icon of national identity to many Taiwanese people, and is pictured on the back of the NT$1000 bill. It is not considered a challenging climb, but a permit and a guide are required to attempt the summit, as with many other of Taiwan’s tallest mountains. English-speaking guides are available, and companies such as Barking Deer offer managed trips not only to Yu Shan, but also to some of the other most attractive spots on the island. Other popular peaks are Xue Shan (Snow Mountain) and Northern Dawu, the southernmost of the 100 “great peaks” of Taiwan. 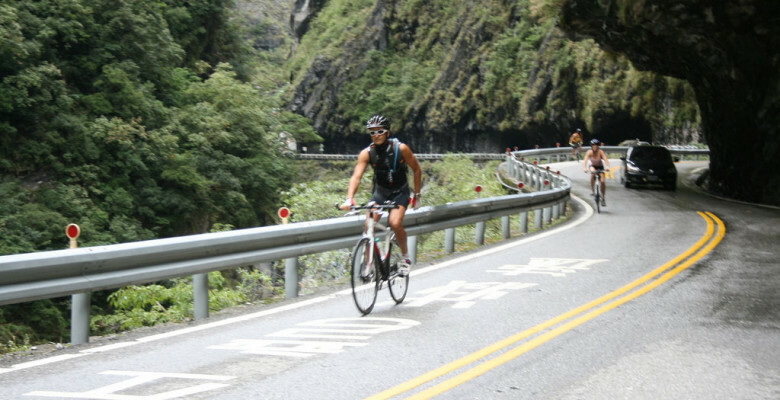 One other scenic spot worthy of special note is the majestic Taroko Gorge, near Hualian, which can be driven through, biked or hiked. Going to the movies is a popular pastime, especially among the younger crowd. There are large multiplexes in big cities, though smaller towns may lack a cinema. The major Hollywood blockbusters all make it across to Taiwan, along with a good sampling of East Asian cinema. Big name non-English films will usually be subtitled in English, though it is worth checking with the staff before booking your tickets. English-language films are very occasionally dubbed over in Mandarin (usually for animated features) though mostly movies are shown in the original language with Chinese subtitling. The big chain cinemas are called Ambassador and Vieshow. An adult ticket usually costs between NT$180–300, though cheaper deals exist for matinée and mid-week showings. There are a number of 3D-equipped cinemas around the country, and IMAX cinemas can be found in most major cities. With the advent of streaming online movies, DVD rentals have declined sharply in Taiwan. There are still quite a few stores around, particularly the chain store Asia One, but more of these outlets are closing all the time. Online services such as Netflix or Apple TV rentals will not normally work in Taiwan, unless you are using a VPN to fool the server into thinking that you are connecting from inside your home country. In towns around the country you will find a cultural centre (often named after Sun Yat-sen) that will host regular events, with many of the larger institutions also hosting performers from overseas. Whether you’re interested in traditional Chinese performing arts, like Beijing Opera and performances of Chinese music, or more contemporary local and international performances, there is something on every night of the week in larger cities. Concerts are also a popular night out, from classical music to modern pop music, with occasional appearances by major international stars; in 2012, for example, Lady Gaga and Radiohead both performed at large venues, with ticket prices from NT$2,500 to NT$4,000 that all sold out in a flash. On a smaller scale, there are a few venues in each city that host live music nights, with a variety of local and non-local performers in all styles of music. In Taipei, Brown Sugar, Sappho, Bobwundaye, and The Wall are popular intimate music venues, and typically around the city you will be able to catch some live music every night of the week; a jazz quartet on Monday, Japanese death metal on Tuesday, a 20s swing band on Wednesday, followed by rock, folk, pop, and many other styles. In comparison to large western cities the music scene is quite sedate, however, and it can take some hunting around to find the best bands and events. There are a few music festivals held around the island, including Spring Scream (in the far south), Formoz, Hohaiyan, Tainan May Jam, and Daniel Pearl Day. There are hundreds of museums around the island, ranging from the mainstream to the eclectic, from vast to single rooms. The most famous is the National Palace Museum, located in the hills of north Taipei. When the Kuomintang fled China at the end of the Chinese civil war in 1949, they took with them a large proportion of China’s cultural artefacts. This collection now forms the basis of what is considered the best museum of Chinese art and antiquities in the world. Limitations of space and the huge number of pieces held mean that only a small percentage of the total collection is on public view at any one time. If you return to the museum once every six months, you will see a largely new set of exhibits each time. Aside from the obvious choice of Taipei, Taichung and Tainan are also home to some excellent museums covering fine art, modern art, science and technology, Taiwanese history, and much more. Of particular note is the new National Museum of Taiwan History, on the outskirts of Tainan, the National Museum of Natural Science in Taichung, and the National Museum of Prehistory in Taidong on the east coast. 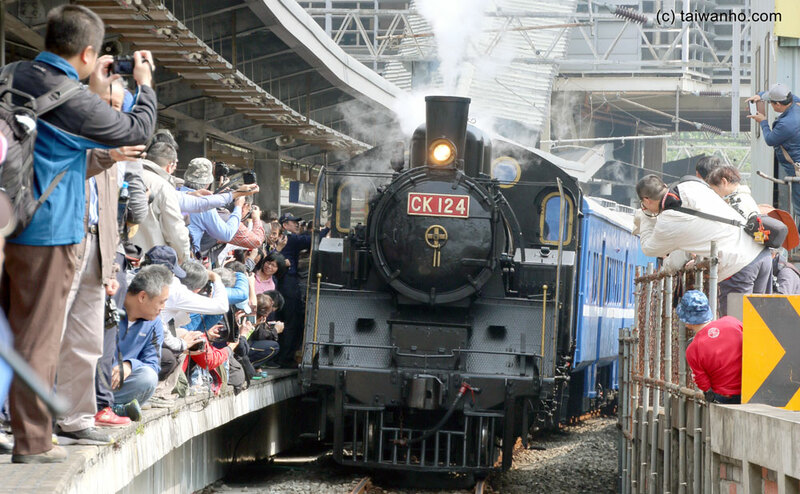 For information on those local to your new home, check out the extensive museums category on the Taiwanease website. For many Taiwanese people “night life” means night markets, eating out late, and karaoke at establishments called KTVs. Unlike karaoke in the west, these KTVs offer private rooms, chargeable by the hour, for you and your friends to while away the time crooning to each other. Even small towns will have a number of KTV places, something that cannot be said for forms of evening entertainment more familiar to westerners. Pubbing and clubbing in Taiwan are not as popular as in many western countries, and consequently if you’re outside the big cities it can be hard to find this kind of entertainment. The best nightlife is naturally found in Taipei, with everything from dance clubs to lounge bars to Irish-run pubs, but Kaohsiung and Tainan also offer some good options for late-night partying or a quiet pint with friends.